The departement of the Alpes Maritimes - Pop. : 2,000 inh. 60 km north of Menton on the D2566 to Sospel. 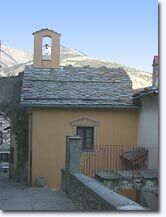 Motorway to Ventimiglia (Italy) and 45km towards Cuneo to Tende. 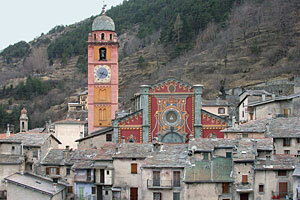 This village located on the Italian border is part of the Mercantour National Park. It is on the edge of the Vallée des Merveilles. 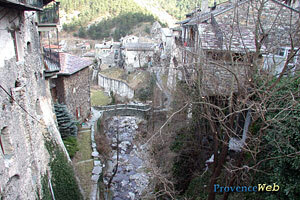 Tende is a large village built in terraces on the side of the mountain. A clock tower and the remains of the Lascaris's castle (the lords of Tende) overlook the village, which was Italian for a very long time (it became French in 1947),and where Alpine and Mediterranean influences blend together. 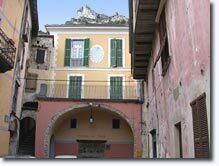 You can park on the pretty town hall square, with its freshly painted facades of warm "Italian" golden yellow, and take the stairs that climb the steep slope up to the old medieval part of the village. The main street which runs along the side of the hill, will enchant you with its green and grey stone facades even if they are a little forbidding. From time to time they are brightened by a few trompe-l'oeil designs, painted on a facade or a fountain. Your stroll will give you several marvellous views of the green and grey slated roofs, and the sumptuous collegiate church with a bell tower of Lombard architecture that has been magnificently renovated, with its flamboyant facade, blending together red and yellow shades. The 400-hundred-year-old solid oak gateway is framed by two Doric pillars supported by two strange looking lions. It is surrounded by a row of thirteen Saints that contemplate the visitor. The interior of this Historic Monument has even more marvels to offer : a 15th century nave, an organ dated 1812, etc. 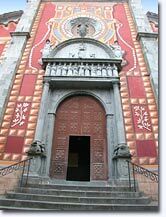 The church of Notre-Dame-de-'Assomption is testimony to the splendour of Tende in past centuries. You can end your visit at the Museum of Marvels, understand the beliefs, the daily life and the culture of the people who lived in the area around Mont Bego nearly 4,000 years ago.The museum is close to the station, the entrance is free. In winter you can practice all kinds of activities at the Nordic CastÃ©rino station 20 minutes from the village, at 1500m altitude cross-country skiing (3 runs, 15km of slopes), dog sledding, snowshoeing ...you can ski at the Réserve Blanche (Riserva Bianca) resort, at Limone-Col de Tende around 20 minutes away by car. This resort straddling the Italian/French border has over 100 km of pistes and 33 ski lifts. Notre Dame de l'Assomption collegiate church (15th century). Ruins of the castle and Clock tower. Annonciation and Misericorde Chapel . 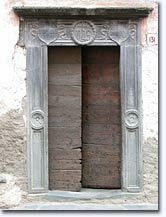 16th and 17th century lintels. The Honey and Bee Centre. Walking & Hiking , horse riding and mountain biking. Golf. Tennis. Horse riding. Alpine Skiing. Trout Fishing. Swimming pool (July & August). Climbing (Via Ferrata: a 1,000 metre long span). St. Eloi Fete in July. La Brigue (6km), Fontan (12km), Saorge (14km).